Those who attended that January 14, 1978 performance couldn’t have felt cheated: not only had they witnessed the Pistols onstage (something precious few Americans could claim to have done), but if they showed up early enough, they got to see the opening act, local heroes The Avengers. 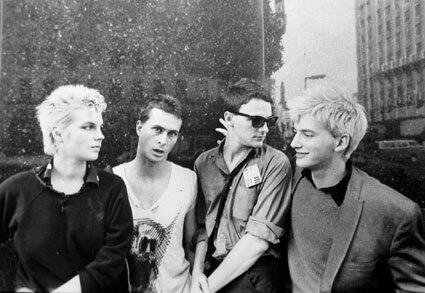 Fronted by a then-nineteen-year-old Penelope Houston, The Avengers were an uncompromising punk act of the first order. In their own way, The Avengers were as political and provocative as the Pistols; their anthemic “We Are the One” is more clear about what “we” aren’t (Catholics, fascist pigs, Jesus Christ, etc.) yet somehow it remains a Statement. Greg Ingraham‘s buzzsaw guitars and the relentless speed-demon attack of rhythm section Danny Furious (drums) and Jimmy Wilsey (bass) provided an in-your-face sonic backdrop for Houston’s aggressive yet (somehow) youthfully innocent vocals. The band never made an album-proper, though various studio, live and bootleg/live tracks were posthumously cobbled together to form a nonetheless great self-titled album (aka The Pink Album). The Avengers themselves lasted only eighteen months after the Winterland gig. Houston would go on to a solo career that took her music in what may have seemed at the time a surprising direction. 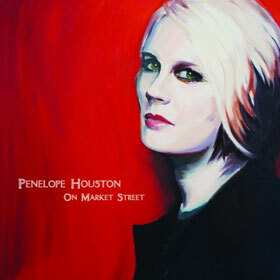 Drawing on the folk side of rock, Penelope Houston’s solo albums often had more in common with Nick Drake or Joni Mitchell than anything on The Pink Album. (As it would turn out, there were a few sonic clues to Houston’s more melody-oriented direction, but those tracks wouldn’t become widely available until much later. A 2012 2CD reissue of The Avengers includes the original album plus a “bonus” disc that’s longer and of arguably comparable music quality.